When the movie It’s a Wonderful Life opened in December 1946, it captured five Academy Award nominations. It also captured the hearts of millions of Americans. Over the past fifty years, It’s a Wonderful Life has become as much a holiday tradition as Thanksgiving dinner and the Christmas tree. For many people, Christmas just isn’t complete until they see Jimmy Stewart running down Main Street yelling, “Merry Christmas!” It’s a Wonderful Life has become the American version of A Christmas Carol, with its own timeless message of innocence, personal struggle, and hope. 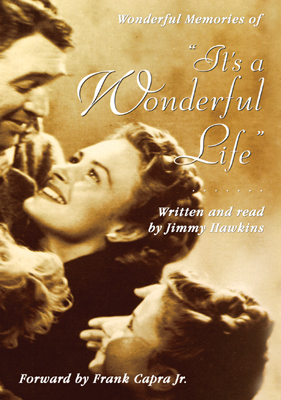 Now listeners can hear about the making of this film firsthand from the memories of actor Jimmy Hawkins, who played four-year-old Tommy Bailey in the film, as well as archived interviews with Jimmy Stewart, director Frank Capra, and many others who were part of the filming of this treasured holiday classic.